What is the Standard Chartered Women in Technology Incubator Kenya Program? 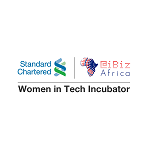 The Standard Chartered Women in Technology Incubator Kenya is Africa’s leading women in tech incubator, aligning with calls for more diversity in technology and for more opportunities for women to develop entrepreneurial and leadership excellence. The program is an initiative of Standard Chartered in partnership with Strathmore University ‘s @iBizAfrica. The program combines world class startup support with local and international experience to provide Africa’s most competitive and attractive startup incubation program focusing on immersive learning, mentorship, building and growing Africa’s next iconic startups taking on the continent’s most relevant challenges and opportunities.